Former Secretary of State Condi Rice and Aretha Franklin teamed up for charity. The former U.S. secretary of state and Franklin took the stage Tuesday evening at Philadelphia’s Mann Music Center in a rare duet for Rice, the classically trained pianist, and Franklin, the divalicious voice of a generation. Their aim was to raise money for inner-city youth of Philadelphia and Detroit and awareness for music and the arts. But these are the same jackasses who love to tout their patriotism and love to throw 9/11 around when they are cheerleading for more war...all while claiming to support the heroes. In fact, the images and memories of 9/11 have been at the core of the Republican brand since September 11th, 2001. They have turned that disaster into slogans for their campaigns...time and time again. There were several years where you couldn't get them to stop campaigning on 9/11.... you couldn't avoid it if you were at a Republican event. Oh the irony. I bet these lying, hypocritical pieces of scum sleep well at night. I don't know how they do it... but I bet they do. The bill was the James Zadroga 9/11 Health and Compensation Act. Read more from Huffpo. Congressman Anthony Weiner lashed out at Republicans. 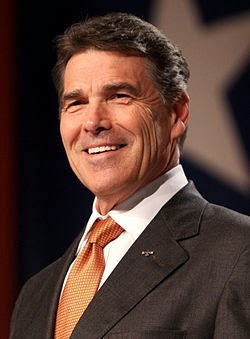 (This man should be Speaker of the House, Majority Leader, or Whip - with all due respect to Hoyer & Clyburn). Loved his response...where he basically told a Republican to sit _______ down. Most of the Dems in Congress are spineless...can't say I have seen this much passion before out of any of them. They are far too passive. Shirley Sherrod, the fired and subsequently vindicated Department of Agriculture employee, said today she will sue the conservative blogger who posted edited video on the Internet last week that made her appear racist. The posted video resulted in Sherrod being fired by the Obama administration, which was followed by public apologies from President Obama and Agriculture Secretary Tom Vilsack for dismissing her without learning the whole story. Even Fox News Host Bill O'Reilly apologized when it became apparent that the video he aired on his show was incomplete and that Sherrod was telling a story of personal growth, not bigotry. But Andrew Breitbart, the blogger who posted the spliced video of Sherrod in the first place, has remained unapologetic, despite the fact that the full video features Sherrod telling an NAACP meeting how she became a better person and overcame her biases. As originally posted, Sherrod spoke about not helping a white farmer as much as she could have. But the instance occurred a quarter century ago. The point of Sherrod's story was that she had been wrong. And the farmer in question jumped to her defense. I hope she sues the hell out of that jackass. Hopefully she can find a way to garnish his future earnings. In his piece "Endgame in Afghanistan", British reporter Sean Smith provides a rare glimpse of the raw reality of the war in Afghanistan for American troops. I initially supported the idea of a surge in troops for Afghanistan because it was sold as part of a comprehensive strategy to make sure that the U.S. would get out or reduce its presence in a reasonable amount of time. But as I have read more, and observed the situation...it is becoming clear that this is not the case. So, for me, the pendulum is swinging the other way. I actually had doubts about Afghanistan as far back as 2005, when it became clear that it was becoming a misguided quagmire. Without a comprehensive approach and not enough troops, the situation was allowed to get out of control under the Bush Administration. Without addressing the economic situation, the dire poverty of the people, education, the poppy farming (a huge problem), failing to win the support of the people, and not having enough troops to hold ground... it was bound to turn into an ugly stalemate. But I also understood from the beginning - a belief that is now reaffirmed- that trying to build a nation out of a part of the world where the ingredients for such a task simply don't exist in any practical sense. In Afghanistan there is generally no sense of nationalism, a fractious & heterogeneous population with verious different tribal and ethnic groups, life being driven at the local level, and thus no sense of collective national pride to motivate men to want to stand up an Army and fight for their own Country. In other words, the whole mission is built on a false premise. It is clear that corruption is strangling efforts there. Furthermore, it is clear that the Afghans are not taking responsibility for their own security... at least the enthusiasm just doesn't seem to be there. So if they aren't willing to fight... we certainly shouldn't have our soldiers fighting and dying there. In order to gain control of Afghanistan, it would require at least 500,000 American/NATO troops. I (and others) have said that for years. There is no way that the U.S. or its NATO allies will ever send that many troops into this war. Hell, the U.S., with its military stretched so thin...and with its hunger to maintain some sort of empire with troops all over the world, doesn't have the troops to send. So what are we doing? Furthermore, we have to consider the fact that the nation is broke. We can't afford it. With no clear definition of what success is...what winning is.... and no clear, achievable goals... this war (with an initial attack that I believed was warranted back in 2002, although dubious) has changed over the last 9 years into something that no longer makes sense. So my view of this war has changed quite a bit, especially over the last 18 months. But it is clear that the Obama Administration has no plans to get out of Afghanistan anytime soon. Americans were sold fools gold with the promise of a troop drawdown...as I suspected. President Obama can't leave & is planning to have our troops there for a number of years down the road (I will go into that a little more in a separate commentary). Although I think the crap about terrorists attacking us from Afghanistan...and it will be doomsday if we leave... we must stay there so they don't hit us at home...is all a bunch of BS. We are looking at 3-5 more years of this madness (at a minimum). Hard to understand...and getting harder everyday. I will write more on that in a future post. More examples of how the Right makes things up. I have been trying to tell you all... they're crazy. But they are crazy and organized...which is what bugs the hell out of me. Anyone who has read this blog long enough should know how I feel about the NAACP. I think the time for this organization has come and gone. It's a relic of history. 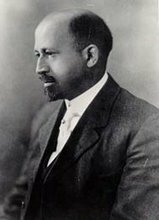 This isn't Dubois' NAACP. This is a group that is trying to hang on to its glorious past, while looking for something to do in the present to appear relevant. That might explain why they tried to take on the Tea Party.... a complete 180 for an organization that had been dead for many years on the political front. Their rustiness might explain why they chose their issue, without realizing that they were going up against the most powerful PR/Political machine in modern American history (the Republican Right wing media). In other words, they should have had their **** together. It's as if the NAACP arrived here from another planet...and didn't know how the game was played. 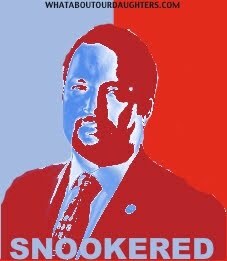 That's why NAACP President Ben Jealous (who was one of the first "leaders" to throw Shirley Sherrod under the bus without checking the story) ended up being...in his words... "Snookered". I mean.. they discarded Mrs. Sherrod like a dirty diaper. Yet another stain on an already mud soaked organization. Statement from Ben Jealous (in his effort to stay in front of whatever Faux News and others may have had planned). Ben Jealous failed to get his facts together before making such an important statement. The result? He came away looking like a clown. The President of an organization with a legacy like that of the NAACP can't afford to be that sloppy. Even Mrs. Sherrod could not believe the way she had been discarded. The NAACP is an embarrassment. This is a group that gives "image" awards to child molesters, rappers, & criminals....and holds them up as pillars of the "Black Community" who others should emulate. Disgusting. They don't represent me. It seems as if I am saying this to myself (and to others) more and more often these days - "they don't represent me". It comes to mind whenever there is an issue of race, where one group or leader is acting on behalf of Black people, or being perceived as speaking for an entire group. This situation makes me say the same thing once again - "they don't represent me". I always find myself explaining this to co-workers, as well as the fact that Blacks aren't a monolith. The way that the NAACP President treated Sherrod only reinforces my view of the organization. On top of everything else, they have shown themselves to be sloppy & incompetent, at best. I am glad the group at least made an attempt to take on the Tea Party.... but it is clear that they were ill equipped for the mission. This is an organization that is stuck in the 20th Century. It's not ready for a multimedia war with the PR/Media behemoth of Right wing media. The NAACP's failure was a result of the fact that the organization is run by a bloated board of dozens of people (mostly old folks) who have held the group back for years....preventing modernization. 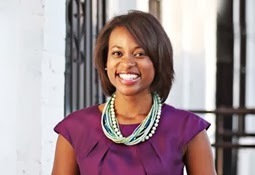 Enter Amy Alexander... a former writer for Ben Jealous himself. Alexander recently wrote a revealing piece describing her experiences at the NAACP. She wrote the piece in response to the Sherrod fiasco. Her story provides an inside look at the organization and confirms what I suspected for years. It's a sad reflection of an organization that was once relevant and respected. But did I also mention that the story is hilarious? Alexander doesn't disappoint when it comes to keeping the reader's attention. Photo taken from Gina McCauley's blog, What About Our Daughters. Republicans successfully filibustered the Disclose Act this week. Once again, they have shown themselves to be hypocrites. On one hand they criticize the corrupt insider deal-making nature of Washington D.C. yet they don't want the public to know who is bankrolling Republican political ads. That would screw up their entire program of deceiving the American people. But the bill isn't completely dead yet. It could come back for consideration later in the year. However, passing this legislation will be an uphill climb. Bettye LaVette- Salt of the Earth (as good as the original? I think so). The Obama Administration is under serious pressure to extend the Bush tax cuts for the rich. Insiders have been suggesting over the past week, that Obama & Co. is flirting with the idea of caving. Extending these tax cuts would dig the nation into an even bigger debt hole. Once again Republicans - who claim to be concerned about annual deficits & the national debt - are saying one thing and doing another, as is normal for them. The Republican media has carefully framed the expiration of the tax cut as a tax increase by Obama. The way that they manipulate the public through the media is just uncanny. They are making the Bush tax policy appear as if it was a permanent law and the evil Democrats are going to radically change tax policy. Of course this is all BS. The tax policy was never permanent...which is why the legislation is sun shining to be reconsidered by Congress. The cuts were temporary. This misconception (that Republicans purposely created) has allowed them to frame the scheduled expiration as an increase. This has been another textbook example of the power & influence of Conservative right wing media. Commentary on why the Bush tax cuts should be allowed to expire. Although I think they waited a good six months too long. Better late than never. Read on. Progressive Talk show host and attorney Mike Papantonio discusses Right-wing extremism with civil rights watchdog Mark Potok. Ahhh... nothing like the sights and sounds of Racist Republican policies falling apart. And so it begins. Round one goes to the sane & rational. But the Right vows to fight on. PHOENIX — A federal judge stepped into the fight over Arizona's immigration law at the last minute Wednesday, blocking the heart of the measure and defusing a confrontation between police and thousands of activists that had been building for months. Protesters who gathered at the state Capitol and outside the U.S. Embassy in Mexico City cheered when they heard the news. The governor, the law's authors and anti-illegal immigration groups vowed to fight on. "It's a temporary bump in the road," Gov. Jan Brewer said. The Clinton appointee said the controversial sections should be put on hold until the courts resolve the issues, including sections that required officers to check a person's immigration status while enforcing other laws. Bolton delayed provisions that required immigrants to carry their papers and banned illegal immigrants from soliciting employment in public places — a move aimed at day laborers. In addition, she blocked officers from making warrantless arrests of suspected illegal immigrants for crimes that can lead to deportation. It looks like this will drag on for quite some time, and will eventually be heard by the U.S. Supreme Court. The law was full of problems and had measures that were unconstitutional, even after the Arizona legislature tried to clean up their own mess by changing the text. See our previous postings on the Arizona Immigration Law here and here. His ideas on foreign policy and Arms Control warrant a second look. A recent piece in the New York Times, by writer Louis Uchitelle, highlights the difficulties faced by the millennial generation, also called Generation Y. But it hasn't been much better for my generation (Generation X). The Great Depression damaged the self-confidence of the young, and that is beginning to happen now, according to pollsters, sociologists and economists. Young men in particular lost a sense of direction, Glen H. Elder Jr., a sociologist at the University of North Carolina, found in his study, “Children of the Great Depression.” In some cases they were forced into work they did not want — the issue for Scott Nicholson. Military service in World War II, along with the G.I. Bill and a booming economy, restored well-being; by the 1970s, when Mr. Elder did his retrospective study, the hardships of the Depression were more a memory than an open sore. “They came out of the war with purpose in their lives, and by age 40 most of them were doing well,” he said, speaking of his study in a recent interview. The outlook this time is not so clear. Starved for jobs at adequate pay, the millennials tend to seek refuge in college and in the military and to put off marriage and child-bearing. Those who are working often stay with the jobs they have rather than jump to better paying but less secure ones, as young people seeking advancement normally do. And they are increasingly willing to forgo raises, or to settle for small ones. 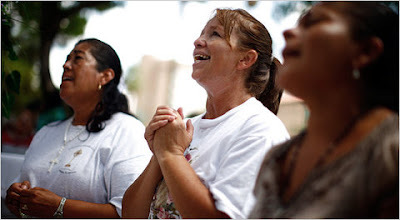 See reports on Black poverty and the struggle with recession from the BBC and MSNBC. The Loop also has a good piece on childhood poverty from last year. I gave up on the American Dream some years ago. Now I am just seeking survival. I realized the Dream had become an empty slogan.... that the chances of achieving it were slim to none. I almost feel as if I have been lied to all this time. I started to feel this way at age 27 or 28, when I had begun to run-in-place. I just wasn't achieving, even though I was working everyday and studying hard. The last 5-10 years pretty much confirmed the doubts going through my mind at the time. Now I am about $80,000.00 in debt with no prospects for meaningful employment. The chances that I will be able to pay this money back is pretty close to zero. Over the last year I have been engaging in all sorts of maneuvers (including going back to school and making matters worse with more debt) to keep creditors at bay just a little while longer. But at some point in the next year or two, I will be looking at default. Once I run out of options and default, I will be ineligible for many....well.... basically all jobs in the Government sector...where I want to work. American Dream? Where? And the thought of finding a mate, developing relationships, and starting a family have been out of the question. Not even an option for me.... never has been. Men, of course, are damn near exclusively defined by what they do....how much money they earn, their ability to support a family, yadda yadda yadda. This is how women rate men. This is especially the case in the U.S., where women are shallow & materialistic to the extreme. If a man can't meet certain professional/financial expectations...if you don't have a job with a respectable salary, if you can't support a family.... then you aren't considered a man at all. Chances for actually attracting a decent mate under such circumstances are remote. So in the last decade (really more than that) I have actually never bothered to try with any serious effort. All due to this elusive "American Dream".... trying to hold out for a meaningful job opportunity. The lost decade has really worn me down. (btw... I think one of the next bubbles to pop will be student loans....as students who leave college end up like me... stuck in BS service jobs earning less than $30,000 a year....or can't find work at all). Needless to say I really hate my life...and the prospects for the future are bleak. With the incompetence of the Obama Administration....not having a clue of what the Hell to do to stimulate the economy...and with all the wars, the misguided foreign policy, and the financial mess (global and personal), I believe things will get worse. When asked if it is now harder or easier to attain "the American Dream" than it was for their parents' generation, 60 percent of Xavier's 1,022 respondents said it's getting harder; 68 percent, meanwhile, said it will be even harder for their children than it is for them. The poll was conducted Feb. 14-21 by Fairbank, Maslin, Maullin, Metz & Associates (FM3) for Xavier's Institute for Politics and the American Dream, reaching respondents over 18 years old via land lines and cell phones. Margin of error was +/-3.1 percent. Xavier plans to release a similar poll every year. 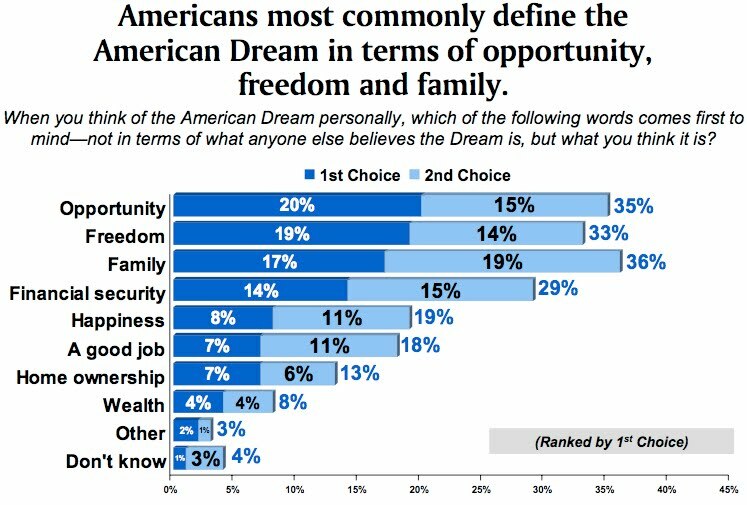 Even as people think it's getting harder to achieve the dream, Xavier found, they still believe--more or less--that it's possible with hard work: 35 percent said the American dream is "entirely" dependent on hard work, while 53 percent said it's roughly an even mix of hard work and good luck/circumstances. And 67 percent think they can achieve it in their lifetimes. Fifty-eight percent, meanwhile, said America itself is in decline. I actually am a little more pessimistic about the "hard work" theme in the Xavier survey, because even with hard work, the Dream seems out of reach. And more important than that was the belief by the majority of respondents that the U.S. was in decline. (Something I have been saying for years). Read the summary of the Xavier University survey conducted earlier this year. See pdf. 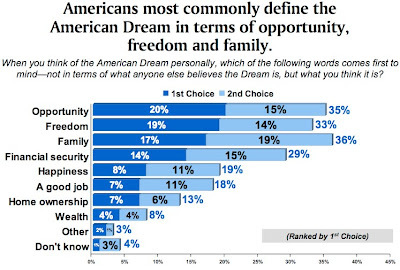 Is The American Dream Possible for Most Anymore? (Discussions w/ Barbara Ehrenreich). Impact of Corporate Based Economy (some links may be dead). E.J. Dionne posted a great commentary today on Truthdig. Can a nation remain a superpower if its internal politics are incorrigibly stupid? He recently offered a rather brutal budget that includes severe cutbacks. I have doubts about some of them, but at least Cameron cared enough about reducing his country’s deficit that alongside the cuts, he also proposed an increase in the value-added tax from 17.5 percent to 20 percent. Imagine: a fiscal conservative who really is a fiscal conservative. The simple truth is that the wealthy in the United States—the people who have made almost all the income gains in recent years—are undertaxed compared with everyone else. Read the Full Commentary from Truthdig. This runs contrary to the Conservative argument that Obama has been doing nothing and wants to open the borders. Convicted felon Byron Williams loaded up his mother's Toyota Tundra with guns, strapped on his body armor and headed to San Francisco late Saturday night with one thing in mind: to kill workers at the American Civil Liberties Union and an environmental foundation, prosecutors say. Williams, an anti-government zealot on parole for bank robbery, had hoped to "start a revolution" with the bloodshed at the ACLU and the Tides Foundation in San Francisco, authorities said. But before he made it to the city, Williams was stopped at early Sunday by California Highway Patrol officers for speeding and driving erratically on westbound Interstate 580 west of Grand Avenue in Oakland. Police say he then initiated a chaotic, 12-minute gunbattle with officers, firing a 9mm handgun, a .308-caliber rifle and a shotgun. He reloaded his weapons when he ran out of ammunition and stopped only after officers shot him in areas of his body not covered by his bullet-resistant vest, authorities said. On Tuesday, Williams, 45, of Groveland (Tuolumne County) appeared in an Oakland courtroom on charges that he tried to murder four CHP officers. Authorities described him as a heavily armed man determined not to return to prison. Bullets from the suspect's rifle could penetrate ballistic body armor and vehicles, police said. After he was wounded and taken to Highland Hospital in Oakland, Williams told investigators "his intention was to start a revolution by traveling to San Francisco and killing people of importance at the Tides Foundation and the ACLU," Oakland police Sgt. Michael Weisenberg wrote in a court affidavit. The Tides Foundation is a liberal not for profit that supports Progressive causes. The otherwise obscure group is often the subject of attacks by Glenn Beck. Read more on Glenn Beck and the Tides Foundation from TPM. Also see commentary from the Guardian. Williams was upset about "Left-wing agenda" of Congress. From TPM: (note: His mother, Janice Williams, seems to be as much of a Tea Party nut as her son is). The man, identified by local news reports as Byron Williams of Groveland, was allegedly pulled over for driving erratically by the California Highway Patrol. As the officers approached his truck, they saw several guns and ammunition, according to police, and they saw the suspect reach for a handgun. The officers ran back to their car and called for backup as the man allegedly opened fire. Officers reported seeing a handgun, a shotgun and a rifle, and that the shooter fired at least two of the weapons. The shootout -- which according to CHP involved 10 police officers and lasted about eight minutes -- left the suspect, who was wearing body armor, seriously wounded. He was taken to the hospital and is listed in stable condition. Two officers were hurt by broken glass, but none were shot. "There is no doubt in our mind, given the body armor and the extensive amount of ammunition he had, that he was on his way to do a very serious crime against either someone or a group of people," CHP Sgt. Trent Cross said. Officers discovered a binder labeled "California" in the truck. It has so far been described only as a "list." When local reporters called the truck's registrant, Janice Williams, she realized her truck, and her guns, were gone. Williams told the San Francisco Chronicle that Byron, her 45-year-old son, was upset by "the way Congress was railroading through all these left-wing agenda items." "He hasn't been able to get a job because he's an ex-felon and nobody will hire him," she said, adding that he was angry about his unemployment and about "what's happening to our country." "I have no doubt it is him," Williams said. "He's been upset with the direction the country is going. ... He feels the people of this country are being raped by our government and politicians." Janice Williams said she kept the guns, which were locked in safe, because "eventually, I think we're going to be caught up in a revolution." She also told the Chronicle that she had warned Byron that "he didn't have to be on the front lines." It's ironic that he was angry about unemployment, but was too much of an idiot to understand how the economy works and how Republicans sent the nation over a cliff. He didn't understand that the Recession officially started in 2007 and the fiscal crisis and job losses started in the Fall of 2008, caused by the failed policies of his Republican President. Nor did he understand that employment is a lagging economic indicator and will take years to recover. And it appears that he was also clueless about the fact that Republicans (for weeks) were trying to block any unemployment benefits that he may or may not have been entitled to. The irony is amazing. And it's not just with this nut. We see this ignorance flowing all throughout the Tea Party crowd. In another display of stunning hypocrisy, congressional Republicans continue their fight to reward the rich during the recession. During the upcoming campaigns, Republicans will claim to represent every American, but that’s hardly the case when it comes to tax policy. This time the battle is over whether Congress should extend Bush’s 2001 and 2003 Bush tax cuts and the GOP is siding with the rich over the middle-class. This will come as no surprise to observant court watchers. Under John Roberts, but not necessarily because of John Roberts, is the most conservative it has been in decades. The general rightward shift will continue for the foreseeable future until one of the five conservative justices leaves (Kagan is replacing a liberal in John Paul Stevens). This is unlikely to happen anytime soon as one conservative justice, Anthony Kennedy has indicated he'd like to wait out Obama. KURTZ: Something really striking happened when I tried to book the segment you're about to see about minorities and the media. I talked to several very prominent African-American journalists who said they would love to come on the program but the subject was just too sensitive to discuss publicly, or their bosses did not want them speaking out in public. Look at the people who have gotten the latest primetime hosting jobs in cable news: Lawrence O'Donnell at MSNBC; Eliot Spitzer and Kathleen Parker at CNN. They join people like Sean and Bill and Keith and Rachel and Anderson. They join the Sunday show hosts and the evening news anchors and the principal network morning hosts. Not an African-American face among them except for GMA's Robin Roberts. If you were 77-years-old, your spouse recently died and you faced two separate bouts of cancer would you continue working, or would you kick back and relax? This is the decision facing Supreme Court Justice Ruth Bader Ginsburg. Keith Olbermann nailed it with this commentary. Definitely one of the best he has ever done. As I mentioned in my earlier comments, this is not just an issue of race. Race, in my view, should not necessarily be the focus of discussion. We don't need another race dabate. To be honest, they just don't do much. We have had that debate half a dozen times (or more) since Obama announced his run for the Presidency. What the nation should really be focused on is the obscene level of power held by Republican right wing media. This is something that I have blogged/written about probably dozens of times and it is the focus of my sidebar commentary, written a couple of years ago. I tried to warn people about just how big of a threat right wing media is. The right wing media is simply the communications department for the Republican political machine. They have a very specific political agenda. Telling the truth and presenting actual news is not part of their program. It is a behemoth that is so powerful that when they tell Democrats - especially the Obama Administration - to jump, the Obama Administration asks how high? In my warning about Conservative media, I explain what their aims are... and that the playbook is an open secret. The national mainstream media seems to ignore this information imbalance. No one wants to look into why Republican right wing media is allowed to control so much of the national debate. No one wants to look deeper into how Faux news (Radio Rwanda) is allowed to set the tone... by creating a certain narrative, and why mainstream media accepts their narrative as a legitimate starting point for their own reporting. Basically they take the Fox News narrative and they run with it...often without verifying information. Keep in mind, Fox News is, for all practical purposes, a propaganda operation. Fox News is so far removed from legitimate journalism that it's like night and day. In other words, legitimate news organizations have little reason to trust Fox News the way that they have been. Fox hasn't done the kind of reporting that deserves such a high level of trust. So the way that other networks parrot Fox (and other right wing outlets) is just incomprehensible to me. Furthermore, it's equally troubling how other networks fall over themselves to provide a platform for Republican right wing propaganda pundits, many of whom have little to no credibility. To make matters worse, these pundits are often unchallenged when they appear on the more legitimate networks. So what we have today is a situation where mainstream media is complicit in the misinforming and dumbing down of Americans. They have been co-opted by Republicans and used for propaganda purposes. This leaves a social/political environment where it is very difficult for a robust countervailing view to grow and challenge Conservative opinion. I have been sounding the alarm on this for a few years now. The dangers of Conservative media are real. We just had another domestic terrorist attack thwarted this week, this time in California... although it didn't make it as a top story on most networks (perhaps because this has become so common). But the suspect was another Terrorist & Tea Party nut angry about left-leaning politics. Read more here, here and here. He opened fire on police on a California freeway after realizing he was caught. Luckily this terrorist was stopped after a long shootout before he could carry out any mass killings. But can you guess what fueled him? (Check the links above). What we are in the midst of right now is an ideological war for the hearts and minds of Americans. It's a fight for the soul of the Country. Within that war is an information/PR battle. While President Obama shut down his campaign and his communications/PR war room... the Republicans never did. Republicans never ended their campaign after 2008, they simply changed its focus. Instead of running on a platform (as if they ever had one) or asking for votes, they shifted the focus to discrediting Obama, delegitimizing his Presidency, framing him as un-American, as an outsider, as dangerous, weak on security, etc. Republican/right wing media is in an all out war against President Obama, on two fronts. One is an information/image war... the other focuses on Policy (political obstruction, so that he is seen as a failure). The kind of misinformation campaigns being waged right now... are, in many respects, similar to the kind of nonsense the CIA was doing 30 years ago in Countries around the world to confuse/mislead local populations, by putting out media stories favorable to the U.S., etc. The corporate PR companies today use some of those same strategies. The only difference now is that the tactics are being used against American citizens. Progressives are at a disadvantage, because they have no media infrastructure that can match what is coming out of Conservative media. The right is just too powerful when it comes to media dominance. It's just not a fair fight. And this is occurring at a time when we have a President who has become synonymous with the term 'PR disaster'. If the White House had a strong war room, had strong PR people, a President who was more engaged and in tune with what is happening on Main Street, someone controlling his image...who has his back, a team of brilliant advisors providing the best guidance & information, then the Democrats and this President would be in a better position to combat the right wing media. But none of these things exist in this White House in my opinion. There is no PR/media war room. If there is one.. they are incompetent...and those running it should be fired immediately. There are no strong PR people. If he has them, they should be fired tomorrow. If the President is engaged...and in tune with the Country, then I don't see it. I have been a serious observer of politics for 20 years...this is one of the worst Administrations in recent memory when it comes to basic situational awareness. How in the Hell do you go to Maine for vacation while the folks in the Gulf are still suffering and are struggling to keep their hotels and restaurants open, struggling to make their rent, struggling to save their livelihoods -and AFTER you encouraged Americans to go and spend money? Yeah.... we all need a vacation every now and then, but sometimes the Captain of the ship has to lead... especially on a ship that is taking on water. If you can't vacation in the Gulf, at least put off your vacation until things settle down....just out of respect for those who are suffering. If you must have a vacation... send the First Lady and the kids.... while you stay in Washington. This is about leadership folks. A walking PR disaster indeed. If he has someone in charge of image... they should be fired forthwith. If President Obama has brilliant advisors... they have been giving the him terrible advice, at least on the image/PR front. We have had 747's flying over Manhattan for photo ops scaring the daylights out of New Yorkers (beyond comprehension in a post 9/11 World), the White House not responding to attacks from the right (even ridiculous lies), Van Jones & others being forced out, the President commenting on issues that he should not have commented on..at least without knowing all the facts, the lack of a clear plan...and the huge absence of at least the image of the President attempting to create jobs & alleviate the problem of unemployment....instead he is out playing Golf, the bungling of the PR response to the Gulf oil spill, the bungling of Gitmo, using horrible strategy in the Healthcare debate, allowing the right to dictate his foreign policy, reaching out to Republicans...even working to water down legislation for them just to be fooled in the end with the knowledge that they were never going to sign on to his policies, and generally looking weak as a man and as a President. Now enter Shirley Sherrod. This is perhaps the most breathtaking of all of the PR debacles thus far. This is one for the history books. It will take me quite a while to wrap my brain around this. But it basically encapsulates, in one event, all of these PR weaknesses...and all the examples of incompetence. This whole situation is a perfect example of why Progressives need to establish their own PR/media infrastructure. If they don't, they will continue to struggle with Conservative media for years. The right will continue to poison the airwaves and threaten livelihoods, and they will continue to win elections when they shouldn't. But Progressives have been slow to respond. This week, for the first time, I heard at least two major Progressive commentators acknowledge what I stated years ago... that we are in the midst of an ideological war for the hearts and minds of Americans. There has finally been an acknowledgment that there is an ongoing, well orchestrated PR war against President Obama and Progressive politics. Maybe this incident was the wake-up call that Progressives needed. It took years just to get to a point where this could be acknowledged. Unfortunately I didn't hear many calls for the establishment of a robust Progressive media infrastructure to rival the Republican machine (not by telling lies...but simply by telling the truth...doing real journalism). And yes, I support bringing back the Fairness Doctrine. The most effective antidote for the madness that we are seeing today in the U.S., is a well informed electorate. There are other things that I believe must be done as well as part of reaching that goal.... such as requiring a certain amount of civics education, global education, geography, World history, political science, constitutional studies, etc... in all schools, public and private. It should be Federal Law. But the end goal should be a well informed electorate. This is what new media could help to accomplish. The sooner Americans wake up to what KO, I & others are saying on this... the better. Series of videos from the Shirley Sherrod Debacle. Many media organizations are rushing to seek repudiations of Shirley Sherrod from African-American leaders such as the NAACP’s Ben Jealous who quickly renounced Sherrod. Before throwing Ms. Sherrod completely “under a bus,” I hope that they will consider the following remarks from the wife of the farmer whom Sherrod was supposedly “half-heartedly” helping. The video in question originally shown on Fox turns out to be a FRAUD. In case you want to see the videos in the Shirley Sharrod scam/fraud. I called, pressed 8, and then left a voicemail. Get the entire Sherrod speech, hear comments from the White farmer, and see other videos under the fold. White House spokesman Robert Gibbs sent Democrats into tailspin when he acknowledged Republicans could take control of the House in November. He's backtracked since, but his comments remind us of all the reasons we don't want to see the GOP back in power. I've been Black in America longer than 3 days. The Tea Party’s leaders’ claims of race-neutrality ring hollow given their racially-inflammatory words and strategy. I exposed the Tea Party’s double-talk here at some length yesterday. Here’s new video from Think Progress (courtesy of Eric Wingerter over at the NAACP – thanks) from actual Tea Party rallies among their rank and file members out that highlights the rampant racism motivating the their critique of the Obama Administration. Blogger, Professor, & author Christopher Chambers discusses the Tea Party on the RT network. Dr. Errington Thompson covered this today as well. What do you call a Black Man Who Is President of the United States? Dylan Ratigan: He(President Barack Obama) didn’t do it. when the wall street guys got across the table from him you’re going to change our tax code, little boy? i think not because i tell you when you’re 75 or 80-year-old billionaire from new york who is looking at any government in this country that is trying to play with the tax code, you know who wins? the 80-year-old billionaire in new york every time. if it’s teddy roosevelt in the white house who is not intimidated by these types of people, he might say, listen, i don’t care who you are and how rich you are it’s not going happen but with this guy he bends over every time. The First Lady discusses the threat that obesity poses to the Black Community. When someone volunteers to join the Armed Services of this country...to put their lives on the line for this country..
the least, and I do mean the least we can do in return, is make sure that they are taken care of if they return to this country damaged - IN ANY WAY. This has not been the case, especially during the Bush years, where they fought increasing services to the common soldier, and did what they could to rig the system so that the soldiers that needed help, couldn't get help. This sea change from the Obama Administration is wonderful, and should be praised. Will Obama Turn On Young Voters? Amazing stat for you: In presidential elections, the last time the Democratic candidate won a majority of the white vote was LBJ in 1964. Yes, it’s true. It’s been 46 years since a Democrat pulled off 50% of the white vote. This tells me a lot of things. Whites, males in particular, took a chance on Obama because they appreciated his even temper, his educational pedigree, and a belief he would look at all angles before committing to policy. Malia Obama,the daughter of US President Barack Obama and First Lady Michelle Obama, makes her way to board Marine One May 27, 2010 on the South Lawn of the White House in Washington, DC. 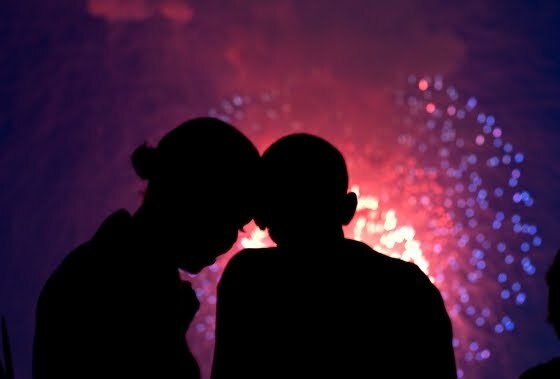 Obama and his family were heading to Chicago to spend the Memorial Day weekend. First Daughter Malia Ann Obama turns 12 today. She's an All-American Girl. Have a great Holiday with family and friends. Enjoy a little Ray Charles. With her 13th Grand Slam under her belt, Serena passes Billie Jean King on the all-time list of Grand Slam winners. This is why I love the idea of Progressives taking their video cameras to Right wing events. I'm not sure if this was the case in this situation, but it shows that such a strategy could yield political treasure. Catching these hucksters in their macaca moments, or when they are telling lies should be an important part of Progressive efforts to get off of defense and take back the PR initiative. Propaganda and lies are a huge part of the GOP strategy. That goes for the Tea Party as well. They have to lie. So it should be the duty of Progressives to catch them when they do. Steele made a huge gaffe at a recent Republican event.... his biggest gaffe of all, according to Chris Good of the Atlantic. And the calls for Steele to resign have started to pour in. Steele stuck his foot....and leg in his mouth by making the claim that the war in Afghanistan was a war of Obama's choosing. Of course it was a war perpetrated by George W. Bush in 2002 and heavily supported by Republicans ever since. Steele's attempt to make the invasion Obama's idea now that it's becoming unpopular is amazing. He went on to slam the war effort. Ironically, in his attempt to lie and mislead, Steele ended up accidentally telling a few truths about how daunting a task Afghanistan is and how the effort to nation build may be unrealistic. OOppps! But once he was caught...he turned around and released a phony statement that basically said he didn't mean it, and he gave assurances that he supports the troops and the war effort. Hilarious. He also describes the McChyrstal fiasco as "comical". 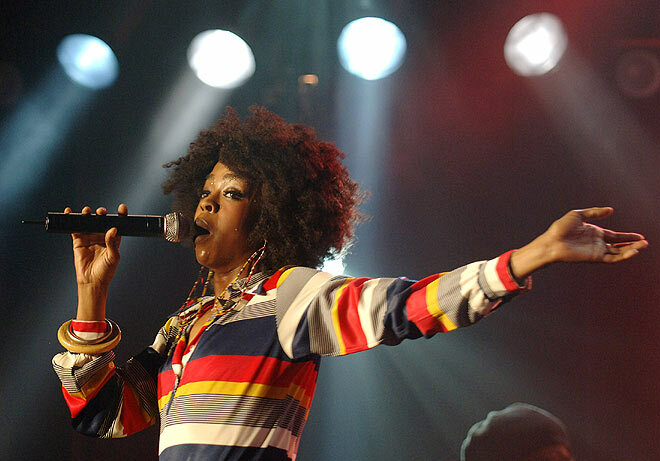 I was perturbed to learn this week that NPR chose rapper/singer Lauryn Hill for their 50 Great Voices Series. This is their list of the 50 greatest singers ever, based in part on suggestions/voting from listeners. Each week, for the rest of this year, NPR will feature a new artist. Are you kidding me? I guess this is the point where I should add another disclaimer... I am not a fan of Lauryn Hill. (I'm not going to gain much support from this commentary). I have never cared for her music... and anyone reading this blog long enough should know how I feel about rap and the Hip Hop culture. However, I do respect Hill for being a talented musician. I can recall flipping through the channels several years ago and stumbling upon her unplugged performance. She's talented, there are no ifs ands, or buts about that. She's a pretty good singer in my humble opinion. But one of the 50 Great voices in the entire world, EVER? Let's stop with the nonsense. Who made this decision at NPR? This is the point where NPR's 50 Greats adventure went from a serious project to more of a joke. This seemed to be more of a PR effort on the part of NPR to reach out to a younger, more Hip Hop oriented demographic... a group that doesn't listen to NPR in great numbers on a regular basis. One big irony here is that Mary Christine Brockert & Roberta Flack have yet to make the list and may never be chosen. I doubt if NPR will pick both, and chances are slim that even one will be recognized. Yet Hill has borrowed heavily from these two singers during her career....covering their performances, using their riffs, their phrasing, their style and so on. Hill doesn't come close to Brockert or Flack when it comes to the art of singing. They would both blow Hill off stage. Hill's voice has a limited range...and her singing style is much more forced, her delivery more contrived. Her voice may be natural, but she's not a natural singer. Another issue is the fact that Hill has had a limited career compared to the all-time great singers around the world. There is not that much material to base such a big decision on. Hill has benefited from an era of sampling and technology to enhance her performances and boost her career. I was lucky enough to have seen Brockert live in concert in St. Louis back in 1994. I was stunned by the performance... to this day I shudder thinking about what I saw and heard that night. How could such a powerful voice come out of such a small package, I thought to myself. THAT is a singer.... I can recall how she held one note for somewhere in the ballpark of 30 seconds...(not hyperbole), just to play with the crowd...which was screaming & throwing roses on stage at that point. Circular breathing perhaps? I'm not sure. But I had never heard a singer like her before or since. The generations of "singers" who came after Luther Vandross and Whitney Houston (in her prime) just never quite measured up for me. Perhaps it's my old age (only 37 this month). But I have always identified with older generations of artists. That's not to say that the current crop of young singers isn't talented... there are definitely good singers still around...but they are hit & miss. The list of 50 Great voices were supposed to be the very best in the world...the best ever...the best that some Countries had to offer...the best that some cultures had to offer. On an exclusive list like that, a Lauryn Hill just doesn't measure up in my book. If this were a list of 500 Great voices... then there might be enough room to fit her in. 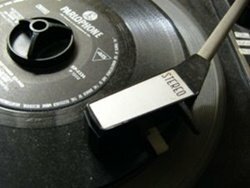 But this is a list of 50 of the best throughout modern human history.... since the introduction of the vinyl record over 100 years ago. Hill is a folk hero to generations of young Black Americans (those 35 & under), although I don't really understand why. I have never understood this phenomenon. But that folk hero status may have something to do with the admiration her supporters have for her and may ultimately be the reason for the selection. That probably played a bigger role in her selection than her actual impact, voice, or singing prowess. The cult of Lauryn Hill is one of many things in the "Black Community" that never made any sense to me...someone looking at it objectively from another perspective. Perhaps its that identity thing again... 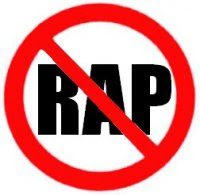 The fact that I don't identify with today's Black culture, and certainly don't identify with Hip Hop culture (which has largely taken the place of a real Black culture), probably has something to do with my bewilderment. But that's not a bad thing... because it allows me to make an unbiased assessment. I have been a connoisseur of good music for a long time...and I think I can say objectively & with confidence that Lauryn Hill doesn't make the cut. 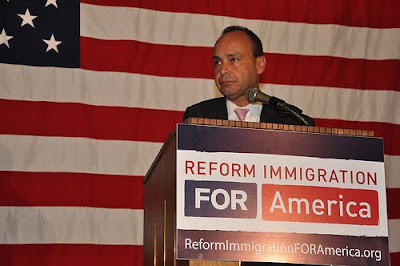 Did Congressman Gutierrez Fail Government 101? Disclaimer: I fully support immigration reform...and have supported it since this latest debate started (under George W. Bush). However, I have been extremely annoyed recently by Rep. Luis V. Gutierrez (D-IL) and his verbal attacks aimed at President Obama. 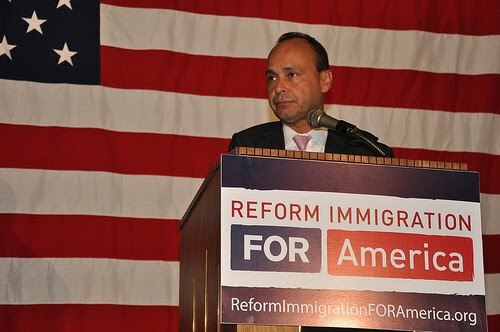 Gutierrez and his supporters have been lobbying the President hard to magically make comprehensive immigration reform a reality. But really....what exactly do they want Obama to do? Am I missing something here? The President can't create and pass legislation. That's the job of the Congress. Obama can't sign into law what doesn't exist. And even if Nancy Pelosi, Steny Hoyer, Harry Reid & others were to craft some sort of legislation...it would barely get through the House, and would be dead on arrival in the Senate. The math simply doesn't work and everyone knows it (at least everyone except for Gutierrez). I wrote several months ago that the part of Obama's agenda that dealt with immigration reform was probably unachievable and would likely have to be dropped from his list of goals. It's a lost cause. I never believed it should have been something that President Obama should even try...especially after seeing what happened to George W. Bush (by his own Party). It would be a huge waste of political capital, after he already wasted vast amounts of political capital in his first year, fighting for what ended up being a bad health care reform bill in my view. Obama could waste another year on immigration reform and be left with nothing to show for it in the end. Meanwhile, he would be so weakened by it that he wouldn't be able to get anything else accomplished. If that's not bad enough, his efforts would simply be used as a basis for Republicans to energize their supporters going into the midterm elections... creating even bigger losses for Democrats than would have been the case otherwise. A Republican President wasn't able to do it with a Republican Congress... Republicans blocked the effort. They are going to be even more aggressive in blocking Obama. Obviously nothing can be done before the mid-terms, and Gutierrez has to know this. Most members of Congress are worried about re-election and aren't going to touch the taboo subject (made taboo by Republicans/Tea Partiers). It's radioactive. There are just certain political and mathematical realities that cannot be ignored. On the other side of the midterms, Republicans are expected to win back one, if not both Houses of Congress...making the passage of any legislation on comprehensive immigration reform impossible. Even under assessments friendly to the Democrats, Republicans are expected to gain so many seats...that even if they come up short on regaining the majority in the House or Senate, they will still be able to block legislation. So I just don't understand what Gutierrez, and his supporters, are so upset about. Why are they upset with Obama? Do they really believe he is Superman or some sort of political MacGyver? President Obama cannot make a proclamation and declare something to be law. Congressman Gutierrez and his supporters should be lobbying the other members of Congress.... not just the President (and perhaps they shouldn't be focused on the President at all in this case). Gutierrez should target Congressional Republicans in particular. That's where he should focus his anger. Not at the President. I guess Elena Kagan is such a blank slate that Republicans have to find others to attack.... even the dearly departed. They were apparently so desperate this week that they dug up a class paper that Kagan wrote decades ago, before she even entered law school. Of course they failed miserably with that effort. But what annoyed me most was the way that Republican Senators on the Judiciary Committee used Kagan to attack Thurgood Marshall - a giant and American hero. Listen to the highlights of the hearings from last week, where Marshall is repeatedly brought up, attacked and diminished by Republicans. The effort was led by Senators Lindsey Graham, John Kyl, and Jeff Sessions. Their racism was plain to see and it was clear that they were playing to their base - their white Southern audiences back home. By targeting Marshall, they were attacking civil rights, desegregation, and equal justice...all the things he stood for. In their attacks (in front of at least one Marshall family member) they painted Marshall as a radical...as a judicial "activist". Marshall's opinions as a judge -upholding the idea of fairness, equal rights, etc- were out of the mainstream (although there is no evidence of that whatsoever). What they were really criticizing was Marshall's career before he became a judge. They were basically saying that Brown v. Topeka Board of Education was not decided correctly and was a result of Marshall's work as an attorney & agitator, and a result of an activist Supreme Court which overturned years of segregation. They suggested that since racism, esp. Jim Crow, was the law of the land, and was well established, settled law.... someone like Thurgood Marshall was a radical and activist because he came along and stirred things up by daring to challenge what had been legal precedent prior to May 1954. In other words, these Senators were sending the not-so-subtle message that Plessy v. Ferguson, the 1896 case that upheld segregation in schools, should have been allowed to stand as it was settled law. Racist to the core. Why has the national corporate media allowed this to go almost unchallenged? I saw the segments on MSNBC...but I have not heard much from any other outlet. Unreal. Senator Al Franken provided a pretty good rebuttal - see video. Besides Al Franken.... few Senators/House members have spoken out against this blatant racism. See Thurgood Marshall Jr's response. Hear an interview with Thurgood Marshall Jr. from NPR. This comes on top of efforts by racist jackasses like Glenn Beck who want to hijack the anniversary of the 1963 March on Washington as a way to mock Dr. Martin Luther King and the Civil Rights struggle. Beck says he wants to "restore honor" and dignity to America..... as opposed to MLK, advancements in Civil Rights, and that nigra being elected President. Is the U.S. Headed For a Greek Style Economic Collapse? Financial Historian Niall Ferguson thinks the U.S. could be headed for a big fall- IF it stays on its current course of spending much more than it collects in revenue. 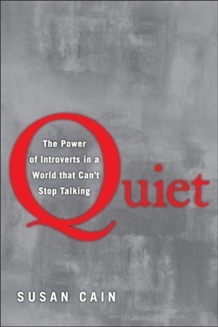 Hear discussion from OnPointRadio. (A Must Listen). He points out what I have been saying here since I started... this business as usual nonsense is unsustainable. Business as usual meaning spending billions (now well over a Trillion) on wars that we don't need, being afraid to talk about a sensible tax policy...because Republicans have turned just the mention of taxes into a "taboo", not working fast enough to build and feed a Green industry- continuing to assume that it will magically blossom on its own, not working hard enough to build small/medium businesses and to create jobs, and not investing in educating future generations (why do I have to go $80,000.00 in debt before I even have a chance to live...just because I want an education? True story....my story). Other countries educate their people at very low cost or for free in some cases. They put a priority on people, rather than huge military industrial complex's or phony corrupt stock markets. I am not as downbeat as some of the voices of gloom and doom. I don't think that the U.S. is headed for a quick collapse - at least not yet. In my mind, I am keeping my fingers crossed that it doesn't happen. The U.S. came close to this in the Fall of 2008. A collapse of the big banks was narrowly avoided. I am skeptical for the future though. The Obama administration can barely get a financial reform bill approved in the House & Senate - in fact, there are currently not enough votes to get the bill through the Senate. Republicans are blocking any efforts to make Progress on reforming an out of date system. With the prospect of clueless American voters returning these same Republicans to power in November of this year and again in 2012, there is no reason to be hopeful. Republicans are talking from both sides of their mouths. On one hand, Republicans say they are concerned about the debt, the deficit, and want to control spending, yet they blocked the Presidents Debt Commission - a commission tasked with steering the Country clear of complete economic collapse. I realize that this is part of the Republican Party's efforts to weaken Obama's ability to govern, so that he fails. But shouldn't they be more concerned about the Country???? Just a little concerned? I believe the U.S. may be headed for several months, if not years, of stagnant growth and high unemployment which will only make the debt problems worse. With the lack of revenue from business growth and job creation, the U.S. will have to borrow more to maintain basic services. Cuts...and I mean massive cuts, will be necessary if the U.S. is to avoid a Greek-like crisis. But I just don't see that happening. Politicians from both parties are more concerned with their political careers. David Walker, former comptroller general of the United States, warns that by 2035, the U.S. will only be able to afford to pay the interest on the debt and nothing else. Unreal! Why isn't this issue on the front burner? 1. For now...the U.S. maintains the advantage of being the biggest economy in the World...and the biggest consumer. This means that other nations (who are now the producers) will be cooperative, for the most part, on trade, monetary policy, and will want to make sure that their chief consumer remains stable....so their economies can stay afloat. 2. The U.S. currency is still....for now... the main reserve currency for the globe..... for now. 3. The U.S. isn't as leveraged (debt as % of GDP) as many other nations in Europe. So there is hope... but there has to be some action. Right now... no real action is on the horizon. That's what bothers me. The U.S. is stuck on stupid...stuck in some sort of perpetual malaise, thanks to the Republican Party and a stupid electorate that keeps supporting these jackasses.